Cocktail Kisses - Sweet Cecily's Lip Balm Review - Reclusive Fox ""
Everyone loves soft, hydrated lips right? There really is nothing pleasant about dry skin on the lips or dealing with painful cracks. That’s why lip balm is such a big seller – it’s a beauty product that gives results (in most cases), is affordable for everyone and has delicious flavours and aromas that make them even more pleasurable. The problem I have with lip balms is simple, a lot of them on the market actually dry my lips out. This was a huge problem when I was a teenager but now I am far more selective about what I put on my lips. I have to admit my dry lip problem isn’t as bad as it once was but as I tend to avoid lipsticks the balm is part of my daily beauty routine so it’s something I am still interested in. 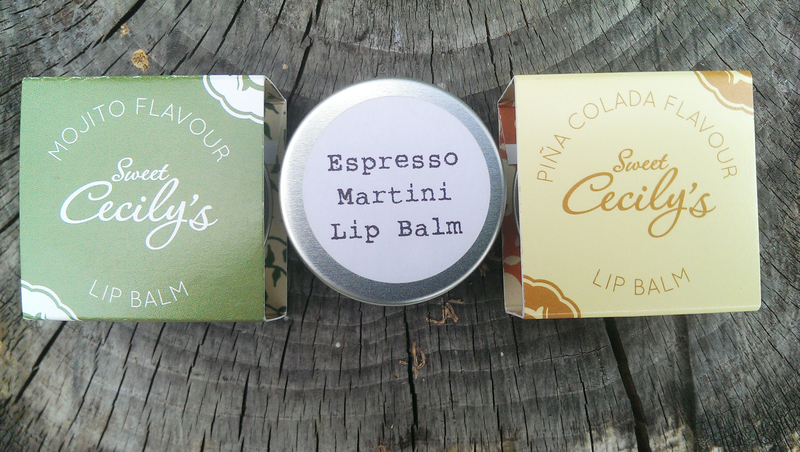 When I saw Sweet Cecily’s were offering bloggers a chance to test out their new Espresso Martini lip balm before release I jumped at the chance. The most gorgeous little parcel arrived mid-week and since then both myself, Elle my daughter and her best friend Cait have been testing them out. Sweet Cecily’s sent the pre-launch Espresso Martini (soon to be released) along with their best sellers, Pina Colada and Mojito, which retail at £2.95 each. Here’s what we thought. The packaging is perfectly sized. 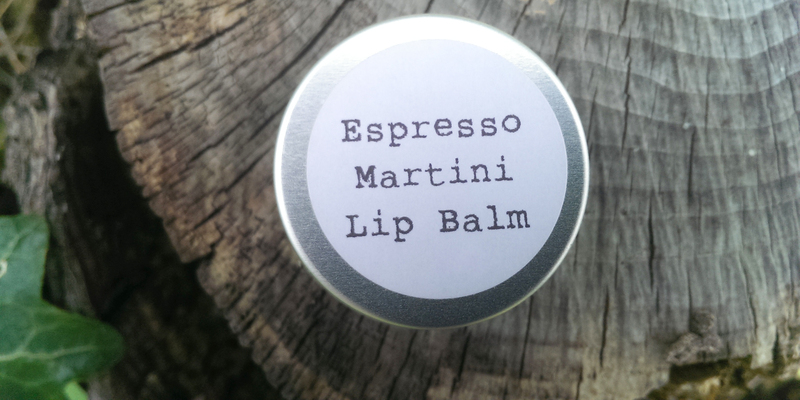 I took the Espresso Martini balm out with me yesterday and it sat comfortably in my jeans the whole hot sticky day. Elle and Cait agree that the size is good too. There are no bulky bulges to worry about and the tins don’t dig in when sitting down, so thumbs up all round. We gathered in the kitchen and took turns sniffing and sampling each of the three balms. We all loved the Pina Colada, Cait and I loved the Espresso Martini and Elle and Cait and another friend approved of the Mojito too. G got involved in the sniff test too (Elle and I are forever making him sniff beauty products, I don’t think he appreciates it one bit) and for once he absolutely loved the aroma of one. G is a huge coffee fan and he certainly became an instant fan of the Espresso Martini. In fact, he has taken the lid off the tin a few times to sniff it since then and hasn’t complained about my lip balm flavoured cocktail kisses all weekend! This is a major plus point as far as we’re both concerned. I have been wearing the Expresso Martini flavour all weekend, and it’s been a hot one. I’ve been out and about so there’s been no hiding from the sun and even when I’ve been inside the air has been so hideously humid, my lips have required some extra care and hydration. I applied fresh applications every couple of hours or so and my lips have been perfectly kissable and remain so today. I gave the Pina Colada to Elle and the Mojito to Cait to test for me too. Again the girls went out in the sunshine and used their lip balm throughout the weekend. Both were really pleased with the results and feel the balms did a great job of keeping their lips soft despite the heat and humidity. 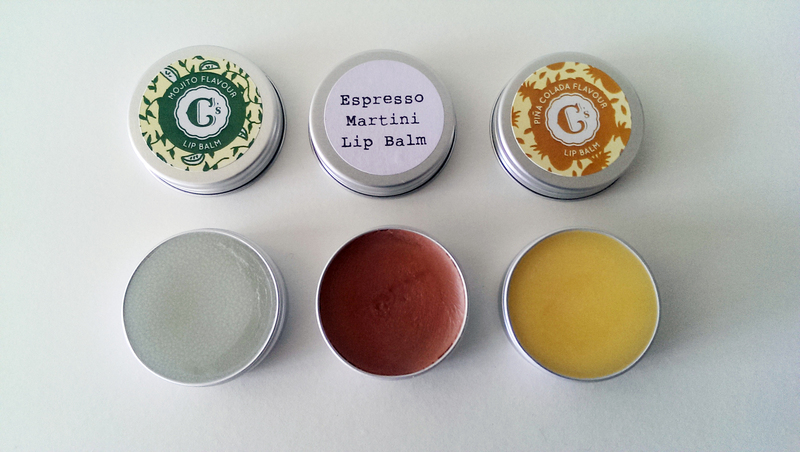 All three of us are delighted with the Sweet Cecily’s lip balms. The application is easy, simply run your finger around the balm a few times and pop it on your lips. The tin is perfectly sized to take out and about with you and neither of us experienced drying out that can happen with other balms. Overall, we loved them. I adore beauty products that are natural and Sweet Cecily’s tick that box with all of their beauty products. The ingredients in the lip balms include shea butter, almond oil and beeswax (major fan of beeswax in beauty here) and there are no parabens, petrochemicals or anything else harmful inside either. Finally all the products and ingredients used are not tested on animals, hurrah! If you would like to learn more about Sweet Cecily’s lip balms or any other Sweet Cecily’s products you can visit the online shop and follow @SweetCecilys on Twitter. Love a nice flavoured lip balm – these fit nice and easy in your purse. Fab review. I like that you all throughly tested them in this heatwave we have been having lately. I’m not a big user of lipbalms if I’m honest but I do agree that some are more drying than moisturising. Glad you have found one that does what it says it does added bonus that they smell and taste good too.